This is the first Flamenco to be seen on the WKC Forum and at this time, one of only three known to exist. 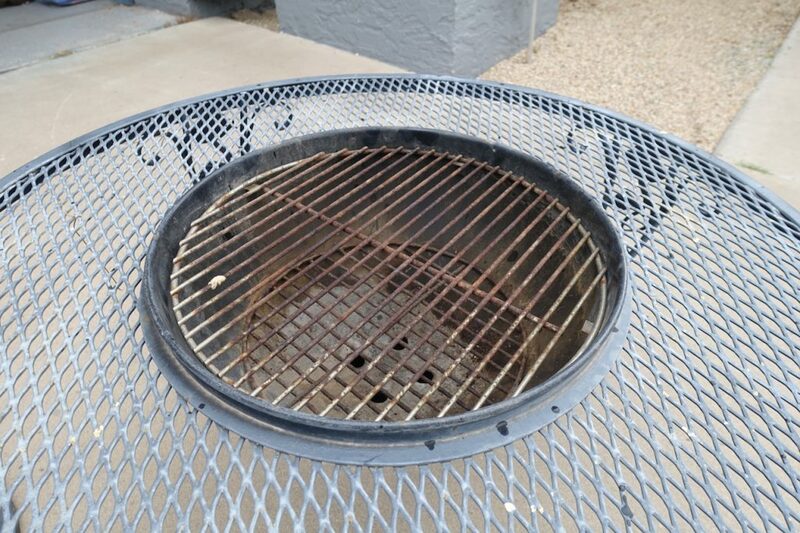 It popped up on Facebook Marketplace, listed as a fire pit table. 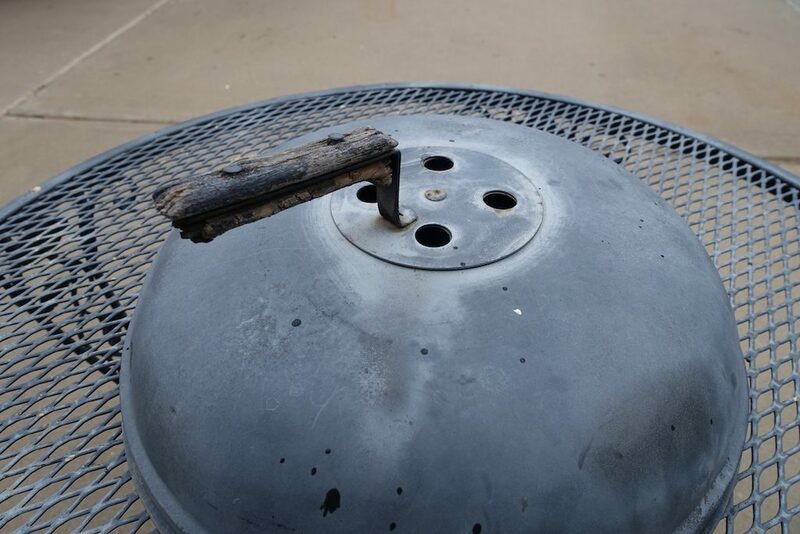 WKC member azbeeking is now the owner of this rare piece of Weber history. It is believed to have been produced for only one year (1963), but may have trickled into 1964. Just like the Seville table and carts, the wrought iron table was made by the Woodard Company. 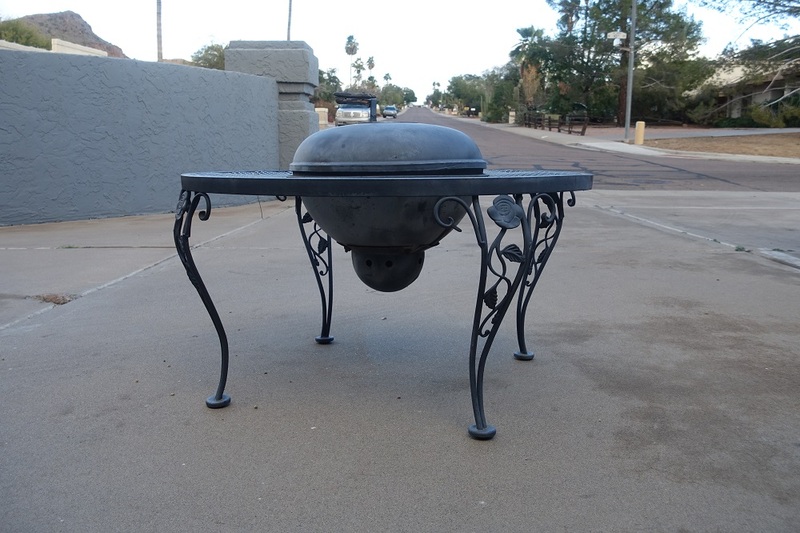 The table is 16″ tall and 31″ in diameter. The kettle size is 14″ and is essentially a Smokey Joe in a coffee table. 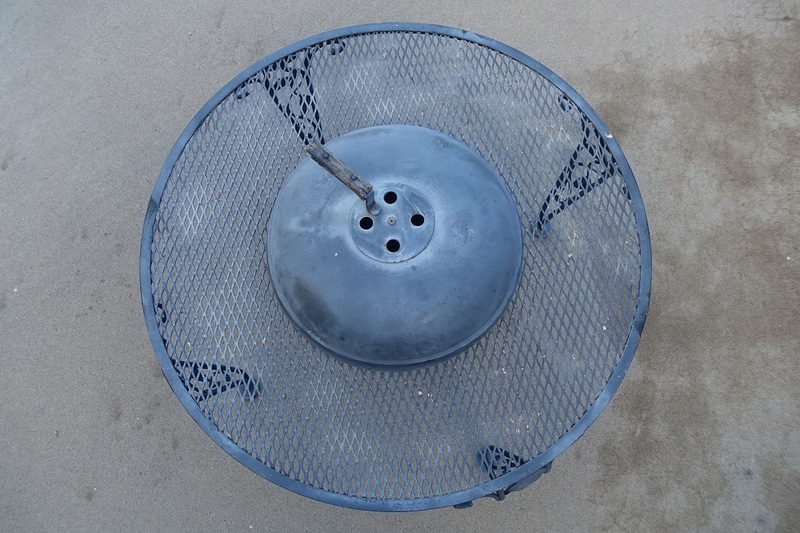 It has an offset lid handle which is welded to the centered lid vent. It wears the same ash catcher system as a Galley-Que. Although the porcelain is faded it has fared better than the wood handle. 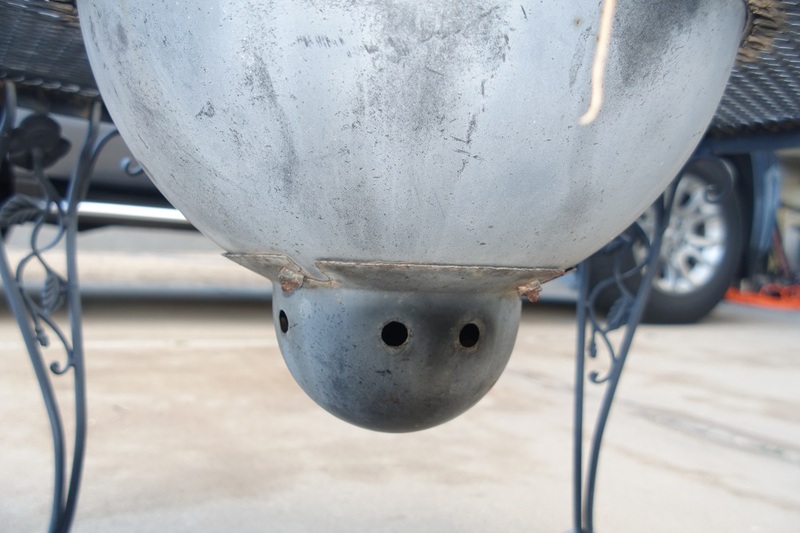 The kettle sits in a hole on the table by a flat lip that rings the kettle. The flat lip is a integrated part of the bowl and appears to be unique to the Flamenco kettle. The bowl has a single, centered vent in the bottom. 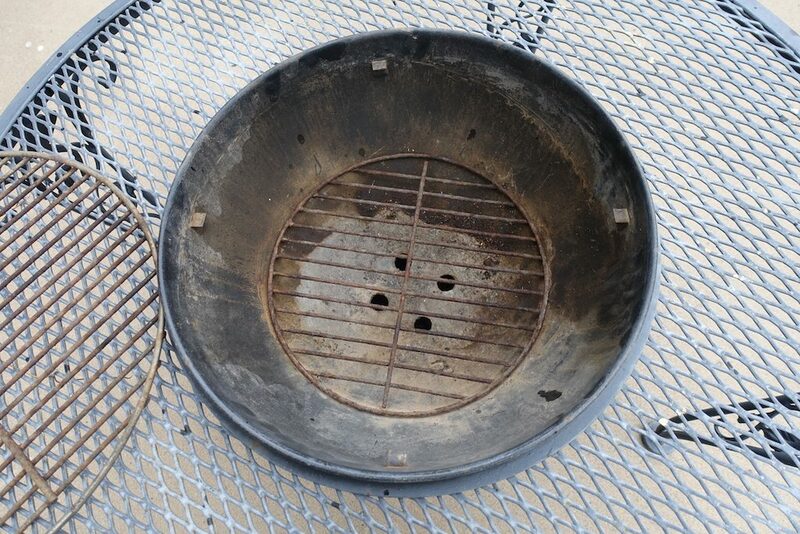 The charcoal grate rests in the bowl with no support tabs. The tables are thought to have originally only been produced in white. 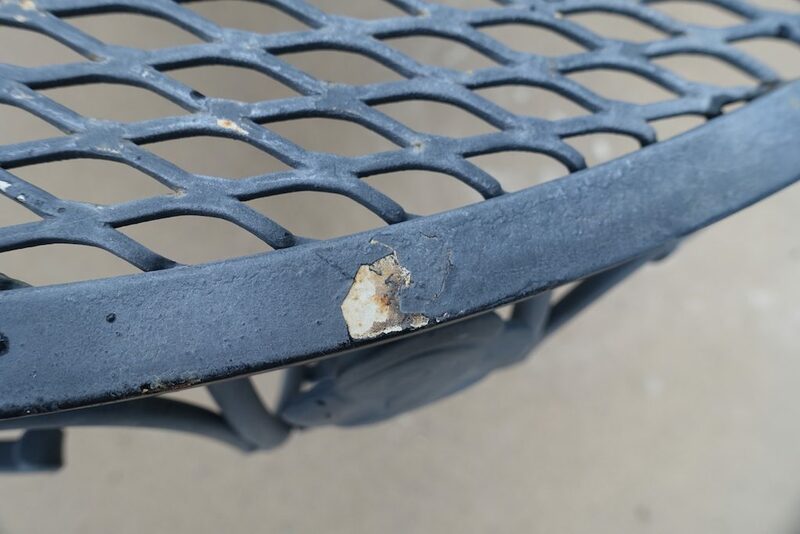 This table appears to have been painted black over it’s original white color. 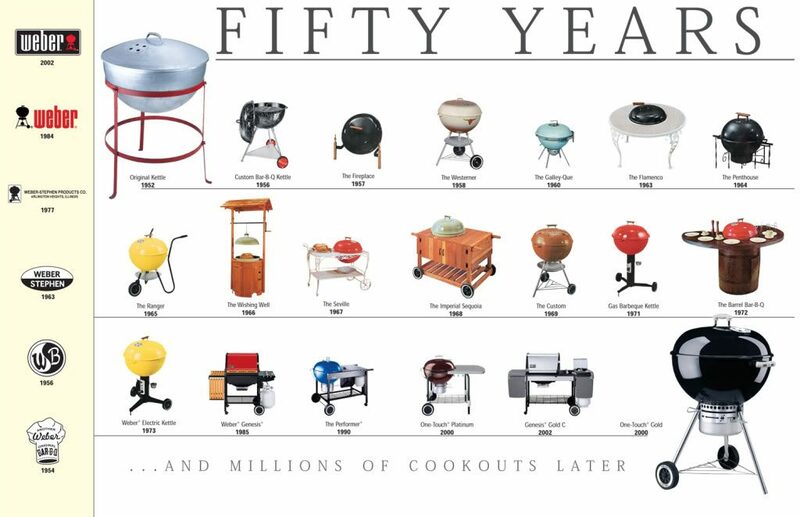 Here is the Flamenco pictured in Weber’s 50 year history timeline poster. Thanks to azbeeking for sharing this beauty and harris92 for background historical facts. 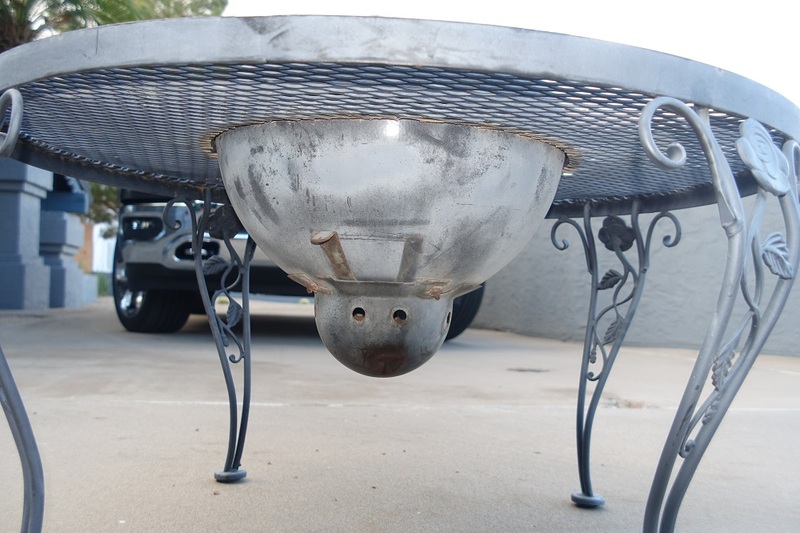 Guess we’ll all be adding “fire pit table” to our searches…. Too cool, congratulations on the rare find!